Two exhibition cards from February 1983 spotlight the role that gallery owner Annina Nosei played in the career of Jean-Michel Basquiat, as well as in that of his contemporary Rammellzee. Nosei was Basquiat’s first real dealer, famously allowing him to use the basement of her SoHo gallery as his studio, and giving him his first solo show in 1982. Less well known is the fact that she also gave Rammellzee his first solo exhibition. Basquiat and the multi-talented Rammellzee were friends in the years 1982-83, as documented in Basquiat’s painting Hollywood Africans, which shows the two (with the artist Toxic) in Los Angeles in January ’83. 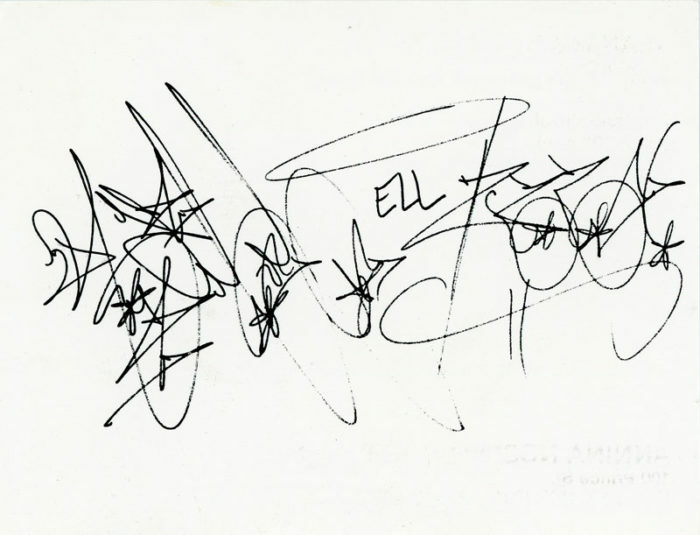 Later that year, they collaborated on the record Beat Bop, which featured Rammellzee rapping and was financed by Basquiat, who also designed the cover. As Rammellzee later recalled in an interview for Dangerous Minds, their relationship was as much competitive as it was collaborative. Somewhere in this anecdote undoubtedly lies the origin of Rammellzee’s little-known exhibition at Annina Nosei’s gallery in February ’83. It was Rammellzee’s first major exhibition, sharing the space with an edition of photo silkscreen prints from Summer ’82 that Basquiat developed with Nosei, before he quit the gallery later that year. In addition to sending out the Rammellzee card, Nosei also sent out a card initially designed to announce Basquiat’s print edition, adding a rubber stamp with the dates of the Rammellzee exhibition. This card is now quite a rarity. Gallery 98 specializes in announcement cards, posters and other art ephemera from the 1960’s – 90’s. 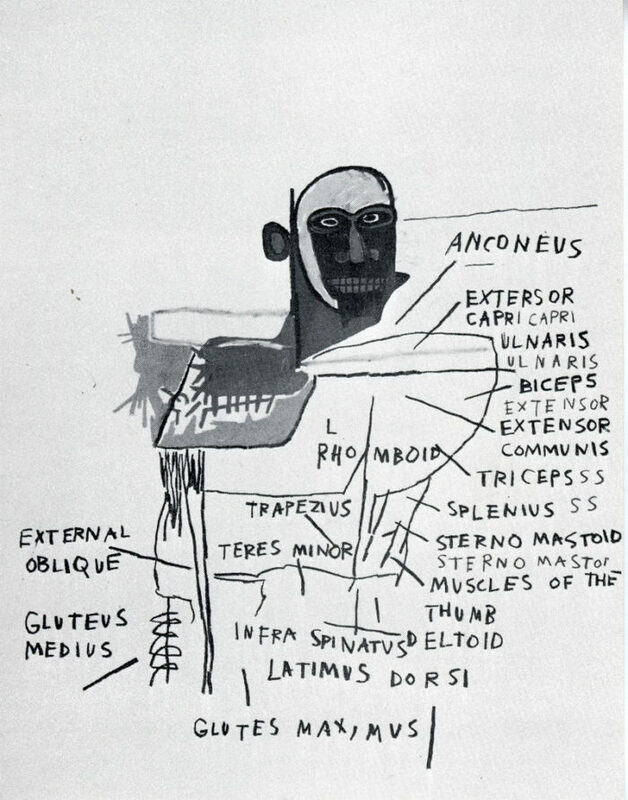 Announcement card for Jean-Michel Basquiat’s Anatomy, an edition of Photo Silkscreen Prints published by Annina Nosei Gallery, 1982. The card was later used as an exhibition announcement by rubber stamping the dates “February 12 – March 3, 1983” on the back.